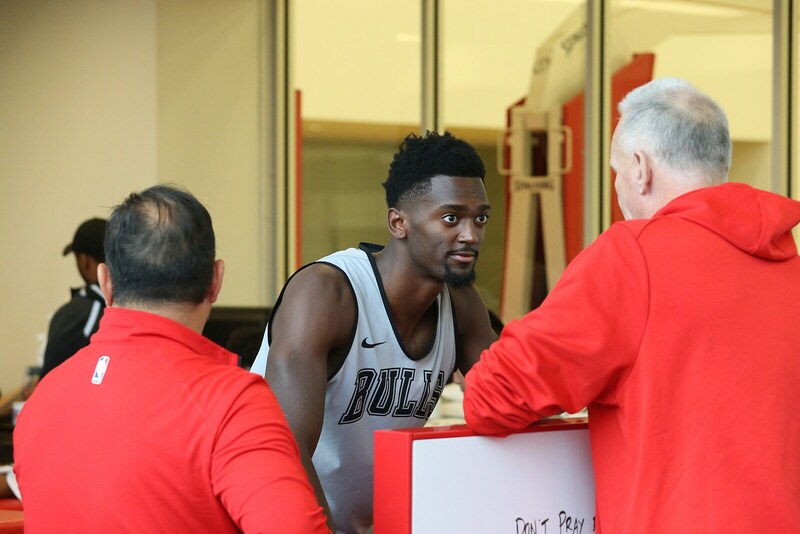 Bobby Portis Thursday fulfills his dream. He is expected to start at scoring power forward for the Bulls when the team opens its 2018-19 season in Philadelphia. A year ago, Portis’ NBA career was in danger amidst a preseason fight with Nikola Mirotic in which the former Bull suffered severe facial injuries. Law suits were rumored. In the two previous seasons, Portis never could fashion even a regular role in the playing rotation for Bulls teams that struggled even to make the playoffs. This week Bobby Portis said no to earning enough money annually not only to look after him for the rest of his life, but likely for the rest of the lives of his children’s children. It’s not unusual in the NBA. It’s where sports and real life separate into much different lanes. This is the famous disconnect between real life and real sports. None of us ever are going to get it. I don’t know how much money the Bulls offered or what Portis sought. But you can arrive in that neighborhood by watching the signs. Like Goldilocks and that porridge, Myles Turner got about $18 million from Indiana. He’s been a starter and a foundation player. Too hot. Larry Nance Jr. got about $10 million from the Cavaliers. He was a role playing part of the many mid season deals the Cavaliers made last season. Too cold. Justice Winslow agreed to about $13 million from Miami. So somewhere between all that likely is just right. Not something to sleep on? Bobby Portis likely said no to an eight figure annual salary. He’s hardly the only one. He probably figures he can make more money after the season, one which is likely to be his best as a starter and eventually top reserve scorer once Lauri Markkanen returns from injury. Either from the Bulls or as a restricted free agent, an offer the Bulls can match like with Zach LaVine last summer. “First and foremost, I want to thank Jerry Reinsdorf, Michael Reinsdorf, Gar and Pax for even considering giving a young kid from Arkansas a contract extension,” Portis said in the uncomfortable aftermath of the discussions. “Obviously, I want to be here long term. We decided to put things off until the spring." There’s certainly precedent for what Portis is doing, and on the Bulls as well. Jimmy Butler passed on an extension in 2014 and famously said would bet on himself. He cashed in. The bet paid off big as he nearly doubled his salary by the next summer in a big deal with the Bulls. Of course, betting involves risk. Portis isn’t quite in the same position as Butler, who then had not broken through as an All-Star. But he was the team’s defensive stopper averaging almost 40 minutes per game. The obvious part of such a bet is injury risk or a free agency musical chairs in which most of the big money is exhausted. Like Jamal Crawford recently signing a minimum deal with the Phoenix Suns. I remember Taj Gibson vacillating to the last minute in 2012 and then signing for about $40 million. He might have made more playing out the season. But it was $40 million. He’d been sleeping on the floor not too many years before. Just like Portis often had to growing up, chased from home to home, a floor or a chair often substituting for a bed in gang infested projects. So what happens when Markkanen returns and assumes the starting power forward role? And what if Jabari Parker, expected to be a scoring point forward off the bench, assumes the prime offensive responsibilities for the second unit? Does Portis have the same opportunity? As all workers know, only opportunity leads to production. Perhaps the Bulls become less enamored. I doubt it since they long have been great fans of Portis’ attitude, hustle, work ethic and effort. But what if they still cannot agree and someone steps in to offer Portis more money? I often think of the Ben Gordon negotiations. Gordon was in an ideal place with the Bulls, an instant scorer playing off Derrick Rose, a model Sixth Man. Gordon rejected a deal worth about $10 million per year, in part, because Luol Deng was offered around $11 million and Gordon believed he was more valuable. So Gordon accepted a contract from the Detroit Pistons worth about $13 million a year, which is substantially more. But his opportunities diminished with the Pistons. He was traded after three seasons, and out of the NBA at a young age after three more. That’s the grass isn’t always greener thing. Is his life better with the extra $15 million? No matter what players say, they are going through the best time in their lives. Why not make the most of it in the place you most enjoy? It’s where sports and real life split. The rest of us basically figure that if we can have a guarantee for, say, $10 million a year for three or four years, who the heck cares what anyone else is making? There’s no way we could ever spend that for the rest of our lives. And what lives we would live. Of course, I do understand the thinking in sports. It occurs in your workplace, also. And so it is in sports. A salary of $10 million sounds amazing. Until, that is, there’s a guy scoring 3.7 points per game playing six minutes in blowouts making more money. Yes, it happens. 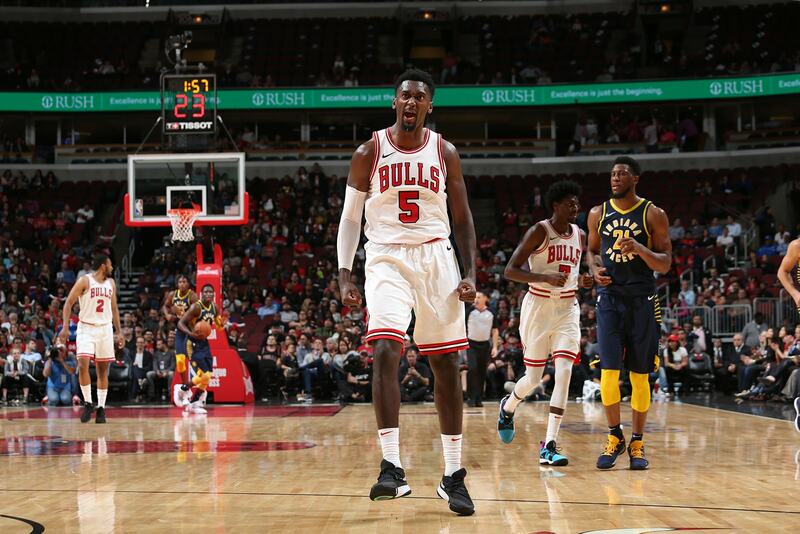 The 6-11 Bobby Portis is becoming a valuable modern NBA type player. He’s a mobile big man — not tremendously athletic — but with a good long range shot. Portis, 23, was terrific in preseason, averaging 17 points in just 22 minutes and second on the team in scoring, rebounding and steals. Plus, Portis has a toughness that he’s actually displayed. Not that Portis is proud of his turbulent moment with Mirotic, but lots of guys talk about going after someone if things go wrong. For right or wrong, Bobby did. Opponents know that. So maybe he can make $4 million more than the Bulls offered; perhaps $5 million more. I’m just guessing, of course. It’s also a lot of money. Maybe $20 from another team. After all, LaVine almost was living in Sacramento. Worth the wait, especially when you’ve seemingly found a home? Worth the risk? How much is enough? Especially where you’ve come from, what you endured and what you are now doing. Portis is expected to be in that starting lineup Thursday, a long, long way from every other opening night when he watched Nikola Mirotic or Taj Gibson on TV in his room last year. 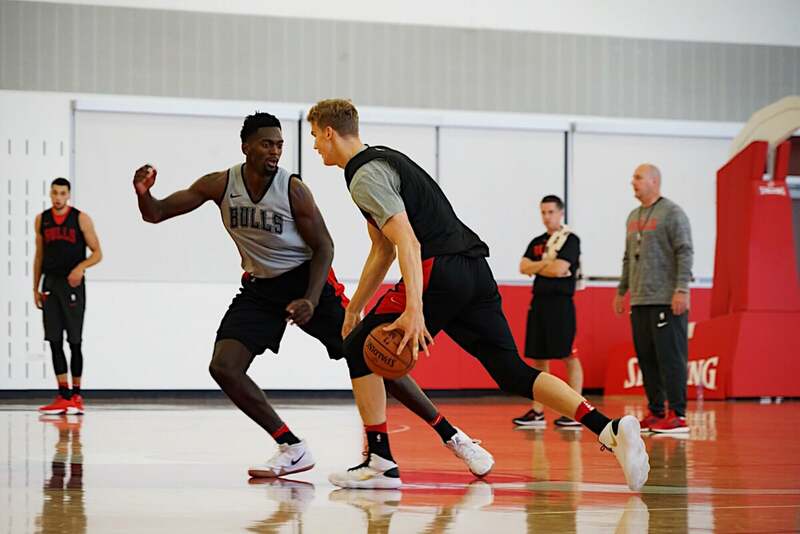 Kris Dunn, Zach LaVine, Justin Holiday and Wendell Carter Jr. are expected to complete that opening night lineup, though Bulls coach Fred Hoiberg insists he has yet to make the final determination. Robin Lopez, perhaps, could be back starting against the 76ers given Carter’s height disadvantage against the gigantic Joel Embiid. “Bobby is a guy that is very confident in himself,” Hoiberg mentioned Tuesday about Portis’ contract talks. “He’s confident in his ability. That’s what we love about him." "He’s going to go out there and play the same way every time he steps on the floor, whether it’s practice, whether it’s a pick up game in the summer or once we get started on Thursday. He’s a warrior, and he’s just going to go out there and play the right way with great effort." It’s presumably why the Bulls and Portis will work out something. One reason teams like the Bulls hold off on extensions is to have more salary cap flexibility for free agents in the summer. There’s always the chance someone - or three — come along to add to the team as free agents. Many have said Kevin Durant loves deep dish pizza. Portis’ salary for this season is about $2.5 million; so he’s doing pretty well for falling to No. 22 in the 2015 draft. Still, he’s also someone from the underside of Little Rock, Arkansas who just said no to, what, $30 million, $40 million, $50 million? Portis clearly was uncomfortable Tuesday discussing the negotiations and finances. He seems genuinely to appreciate where he is and intends to enjoy what he does. I believe he wants to remain with the Bulls. But not only do things happen, but as the players like to explain, it is a business. Things change. “I just want to play this game,” Portis said. “I love the game. I just want to go out there and play and have fun. The contract wasn’t on my mind when I was going out there in preseason, playing. I was just having fun, playing my best basketball, and doing what I do. “No distraction at all,” Portis said about becoming a free agent this season. "I play this game because I love it. Obviously, you want to make as much money as possible to help your family. But I started playing basketball because it’s fun to me and I loved it. I still have that same passion, that same heart every night I go out there. I give it my all each night, go 110 percent whether I’m tired or not. My game won’t change. I think I have a big opportunity. But money isn’t on my mind. I’m more worried about the team. I’ve always been a team first guy. I’m more worried about our success and pushing forward to get better. Sort of like the pot o’ gold at the end of that rainbow? The problem then supposedly was finding where that rainbow ends. Because if you don’t you may be left with nothing but hope and promise.